Find out what real football heroes are made of. Step onto the pitch and live out your dreams at the school where stars are made! Enrol in the David Beckham Academy and discover the professional tricks and tips that turn promising young players into the real deal. Divided into five handy sections, this book gives you the lowdown on health and fitness, training, tactics, teamwork and much more. 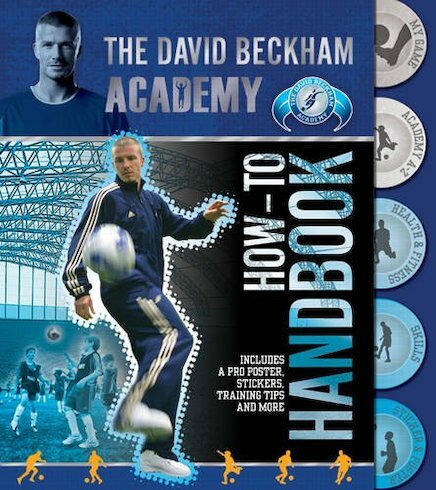 You can step into a player’s boots and explore the Academy’s state-of-the-art facilities, take a lesson on ball tactics, or try out Beckham’s tough fitness regime! This spiral-bound book is stuffed with colour photos, and also includes stickers and a poster.